Kenny and Yesenia’s late afternoon engagement session was a photographer’s dream. 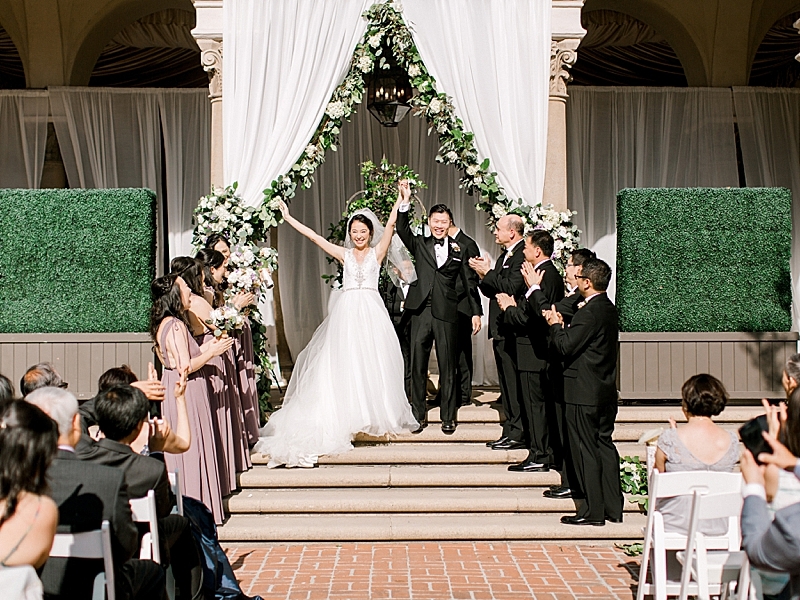 From Yesenia’s gorgeous designer gowns to Kenny’s surprise champagne toast to the sprawling canyon and twisting trees that make up one of California’s most scenic and spectacular parks. The pair met me at the park entrance just before dusk on the evening of Yesenia’s birthday and boy, were they dressed to impress! Yesenia had planned her bridal make-up and hair trial for the morning of the shoot, and looked positively radiant as we began our hike through the Santa Monica Mountains. "I had been preparing for engagement photos it seemed even before I was engaged. I had seen so many sessions that other brides had done and thought I knew and dreamt of what I wanted. However, when… our photographer ask[ed] us, ‘Do you have a place in mind?’ I initially didn't. So many ideas ran through my brain. I took a look at her portfolio and fell in love with Malibu Creek State Park. My fiancé fell in love with the spot too. It was rustic, outdoors, and dusk was beautiful there. On the day [of the shoot], it was also my birthday… I was super excited and nervous, my fiancé and I had never taken professional photos [before]. Molly met us at the park entrance, I was in a gown and Kenny [was] in a suit. Why? Well, I had this image in my mind about being in the woods, but "fancy" -- we love the outdoors, and I thought being all dolled up in [nature would be perfect for our engagement session]. So I found an amazing website… [that rents] beautiful designer dresses [and] rented a bright orange colored free flowing dress that was perfect in the breeze that day. Kenny wore a [blue] suit that complemented well. I also wanted to set up a picnic [since] we love to go hiking. So I brought an empty bottle of champagne and a picnic blanket to complete the look. When we came to the oak tree, the sun was just starting to descend and it was about 5:30pm. [As we began our] mock picnic, Kenny surprised me and brought out a real bottle of champagne… and we sipped champagne while we posed for the second half of photos. It was a very special moment, he always finds a way to surprise me with my favorite things. The poses were very romantic and felt very natural, something we didn't think we could pull off. Molly made it easy and fun. She is very detailed in her direction and very patient. Something I appreciate so much about her. We received our sneak peak the next day and we were amazed at what she delivered. We could hardly believe it was us! The oak tree with me pulling Kenny towards the tree is my favorite shot. We have it in our home in a large print and frame. We felt it captured exactly who we are."